The Russian Air Force has hit more than 60 Islamic State targets in Syria over the past four days. RT takes a closer look at the fighter jets taking part in the anti-terror operation. Some of the airstrikes on Sunday were near the city of Raqqa in northern Syria, which is one of the terror group’s de facto capitals in Syria. 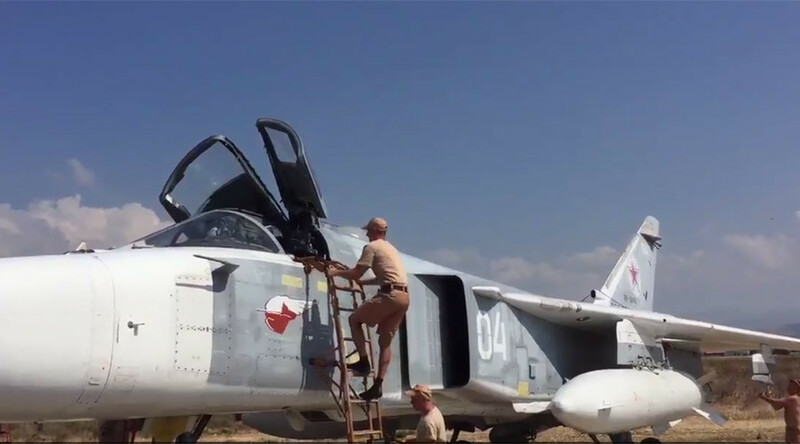 Russian jets destroyed an Islamic State (IS, formerly ISIS/ISIL) underground bunker. Armored Sukhoi Su-25 ground-support fighter jets also attacked a jihadist training center in Idlib province, destroying a workshop producing suicide belts in the process, according to a Defense Ministry statement. Russia launched its military operation in Syria on September 30, at the request of the Syrian government.